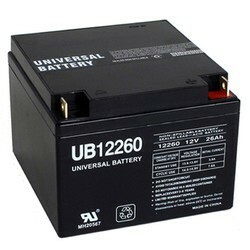 Pioneers in the industry, we offer panasonic battery 26ah from India. e are widely appreciated for providing a wide array of Power Battery, which are manufactured using high quality raw materials. We manufacture them in compliance with the highest quality standards. The quality of these products is ensured through stringent quality checks conducted by our quality analysts. The offered batteries are competitively priced. Looking for Panasonic Batteries ?